When Can A Person Marry Without Consent Of A Parent Or Legal Guardian? Typically 18 years of age. What Is The Youngest Age At Which A Person Can Marry With Consent Of A Parent Or Legal Guardian? To obtain a marriage license, you must apply to the County Clerk in any county in the state. The license must generally be issued, however, at the county seat of that county. The County Clerk may require evidence that the applicant is of age. A valid marriage license and “solemnization” by an authorized official (generally a clergyman or judge). In A Marriage, Who Has To Provide Support? In essence, both husband and wife have an obligation to provide for the support of each other and of all minor children. Either spouse may be held liable for necessities furnished to the other and/or to their minor children. The exception to this general rule is where one spouse “abandons” the other without sufficient justification for such abandonment. Does A Non-Working Spouse Have Any Share In The Family’s Income Or Assets? Yes. In most states, all property acquired after marriage by either husband or wife is presumed to be “community property,” unless (1) otherwise provided by agreement, or (2) otherwise ordered by a Court. Community property means that both husband and wife have an ownership interest in the property regardless of whom acquired the property, although there are exceptions to this general rule. What Are The Grounds For Divorce Nevada? A common ground for divorce in Nevada (Reno or Las Vegas divorce) is where the husband and wife are “incompatible.” Other grounds for a Nevada divorce (Reno or Las Vegas divorce) are 1) insanity of either party existing for two years prior to the commencement of the action for divorce in Nevada (Reno or Las Vegas divorce); or 2) where the parties have lived separate and apart for one year without cohabitation. For more information on divorce, contact a Reno or Las Vegas family law or divorce lawyer. What issues does the Court Address in a Nevada Divorce Action? 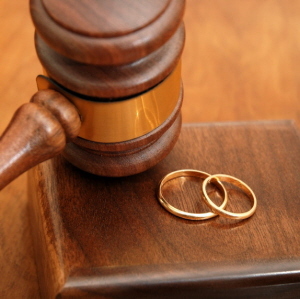 In a Nevada divorce (Reno or Las Vegas divorce) the Court will decide issues relating to the division of any commonly-held property; whether spousal support is indicated; what custody arrangements should be made in relation to minor children (including child support); and any other issues requested in the complaint for a Nevada divorce (Reno or Las Vegas divorce). What Happens to the Property in a Nevada Divorce Action? In a Nevada divorce (Reno or Las Vegas divorce), any “community property” (commonly held between the parties) will be divided equally as much as possible unless the Court finds a significant reason the property should be divided unequally. You can divide the property yourselves providing that the agreement you reach is in writing and approved by the Court. The agreement must also outline child support considerations as well as specify the payment arrangements for debts owed. We Executed a Pre-Nuptial Agreement Before We Were Married. Will the Agreement be Upheld? A prenuptial agreement may or may not be enforced as it pertains to property and support issues, depending on a variety of legal considerations which are often very complicated. We recommend hiring a Reno or Las Vegas family law lawyer in Nevada to assist with the complex process of writing a prenuptial agreement. The Court takes into account what is in the best interest of the child above all else. Some factors taken into account in making this decision include, but are not limited to, stability and environment of the household. Each parent may be evaluated by the Court in order to make this determination. For more information on Nevada and child support please contact an experienced Reno or Las Vegas family law lawyer from our website. For each additional child, add an additional 2%. Pertaining to Nevada Child Support: the Courts do not generally have to follow a set formula, but even where they do, the Courts can usually allow for other financial considerations of the non-custodial parent, i.e., daycare costs, insurance, support of other children, etc., but where a formula is used the Court must generally provide rationale for awarding an amount that is different than the formula would produce. For more information on Nevada child support, please contact an experienced Reno or Las Vegas family law lawyer from our website. What if Circumstances Change After Child Support is Awarded? Typically, Courts will review and adjust (if needed) your Nevada Child Support Agreement at least every three years at your request, or sooner if significant changes occur in your life or the life of your child or ex-spouse. If you feel a change is necessary contact a Nevada child support attorney for further information. What If A Man Denies That He Is A Child’s Father? A paternity suit may be brought in Nevada by the child, the child’s natural mother, or “an interested third party” (such as a guardian) to declare the existence or nonexistence of the father-child relationship. For more information on paternity suits please contact a Reno or Las Vegas family lawyer. May A Parent’s Rights Be Terminated? Yes. A Court may generally terminate parental rights for many reasons, including abandonment of the child; neglect of the child; unfitness of the parent; failure of parental adjustment; or risk of serious physical, mental or emotional injury to the child. A Court can sometimes also terminate parental rights if the parent exhibits only “token efforts” to support, communicate with, prevent neglect to, or eliminate the risk of physical, mental or emotional injury to the child. The primary consideration in determining whether to terminate parental rights is typically “whether the best interests of the child will be served by the termination.” For more information on termination of parental rights in Nevada, please contact a Reno or Las Vegas family law lawyer. What Kind Of Protection Can An Abused Spouse Receive From A Court While A Nevada Divorce Action Is Pending? A Court can place a restraining order or an injunction upon the parties, which essentially orders those parties not to interfere with each other nor to interfere with the custody or visitation rights of either of the parties. Anyone violating that order while committing a violent physical act against a person may be fined, required to perform community service and/or other form of discipline as the Court deems fit. Additionally, the Court may sometimes sentence the violator to a prison term. Do Child Support Orders from Other States Apply in My State? How Can I Enforce the Award? You may pursue the enforcement of your award through a government child support enforcement office whether across state lines or locally, typically for a minimal fee. In addition, you could hire a private investigator to pursue enforcement at your former spouse’s location. The child support enforcement office can usually be reached through the Family Support Division of your local District Attorney’s office. For more information on enforcing Nevada child support orders (or support orders from other states), please contact a Reno or Las Vegas family law or divorce lawyer. How Do I know if I’m Entitled to Spousal Support (Alimony)? While entitlement to spousal support varies greatly from state to state and is not specifically outlined in the statutes, the Court will usually make a determination regarding entitlement based on several factors, such as earning capacity of each spouse (with or without education), how long the requestor has been out of the work force, etc. You may also be entitled to temporary spousal support during the pendency of your divorce case. For more information on alimony or spousal support in Nevada, please contact a Reno or Las Vegas family law lawyer. Do I Need to Hire a Nevada Family Law Lawyer to Assist in my Child Support and Divorce (Reno or Las Vegas divorce) Proceedings? A real problem with abuse exists (spousal, child, sexual, substance, etc.). A Reno or Las Vegas family law lawyer may help with arrangements to protect yourself and any children involved. If your spouse is acting dishonestly or vindictively and you are unable to cope. A Reno or Las Vegas family law lawyer may be able to help protect your interests. If you arrive at court prepared to represent yourself and your spouse has hired an attorney. This is especially true if you have children or are facing complicated financial issues. In this situation, you have the legal right to ask the judge for an adjournment (postponement) so you can find and hire a Reno or Las Vegas family law lawyer. Where Can I Find a Reno or Las Vegas Family Law Lawyer to Assist with my Nevada Divorce (Reno or Las Vegas divorce) or Nevada Child Support Case? 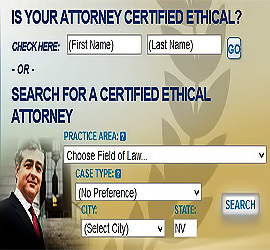 Go to www.AttorneyGuide.com or click “Find an Attorney” on the navigation bar at the top. Choose your city and state, then select Family Law and the type of case that best matches your situation.